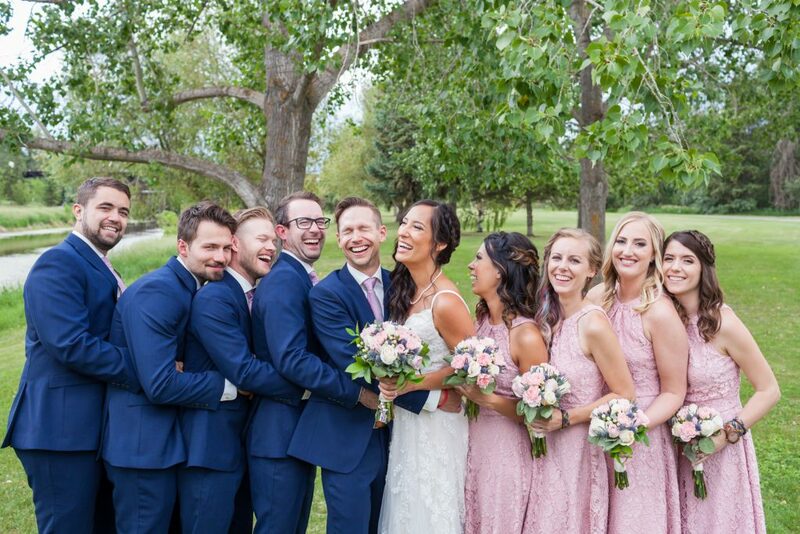 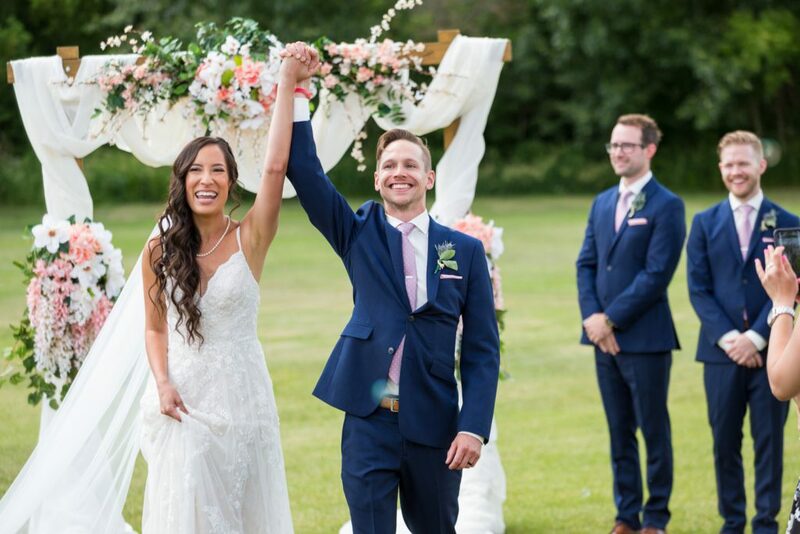 Vanessa and Carter’s Country Lodge wedding ceremony and reception were a beautiful celebration of two vibrant humans who love each other like crazy. 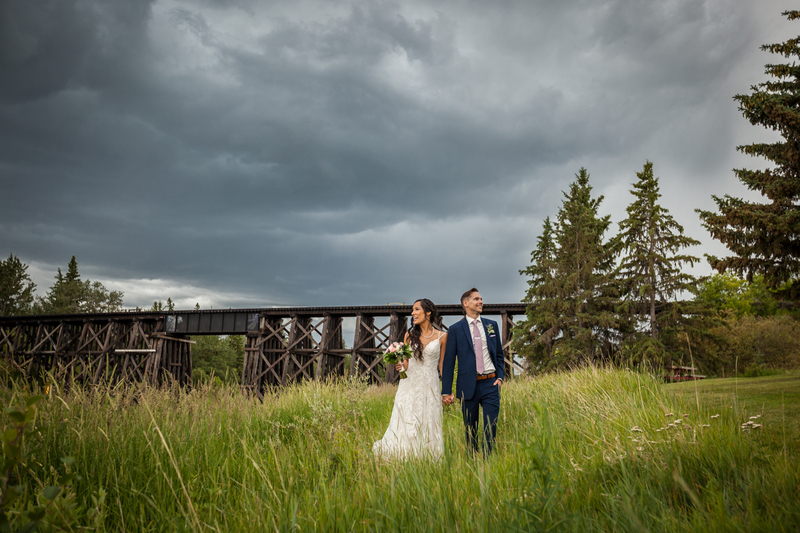 It was a dicey, stormy afternoon, typical of an Edmonton summer. The weather is anything but predictable in Alberta, but at least we can count on the skies always looking amazing. 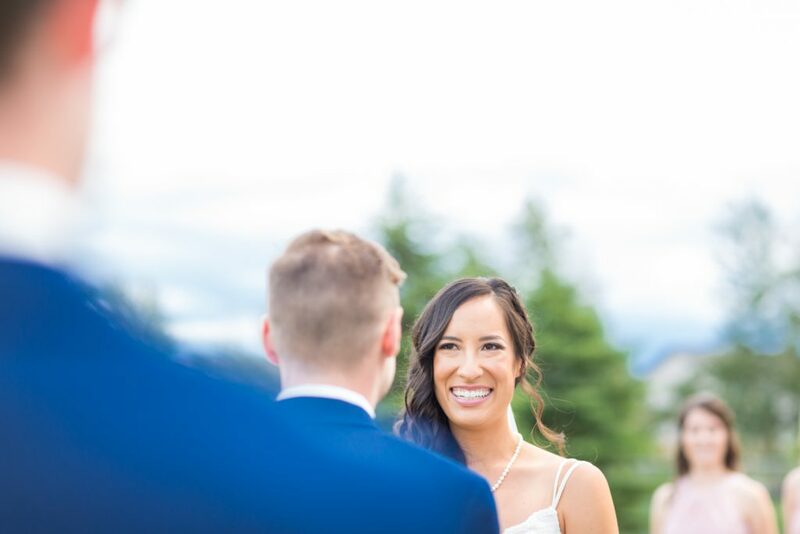 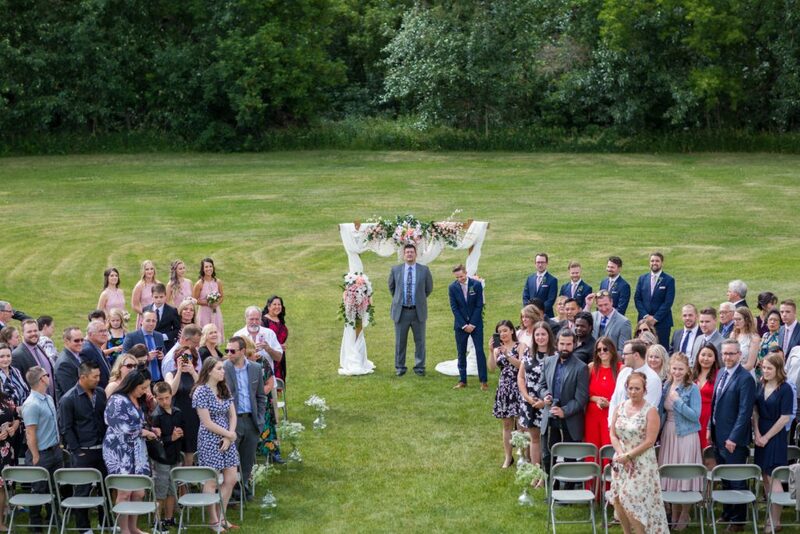 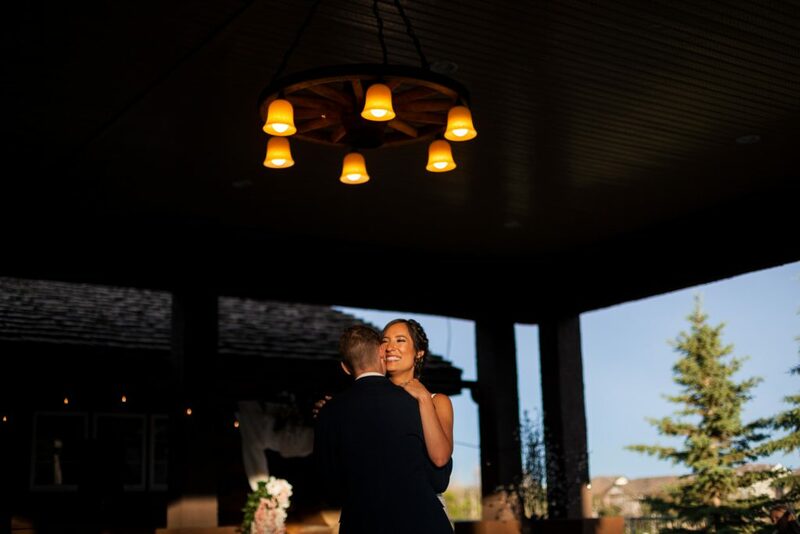 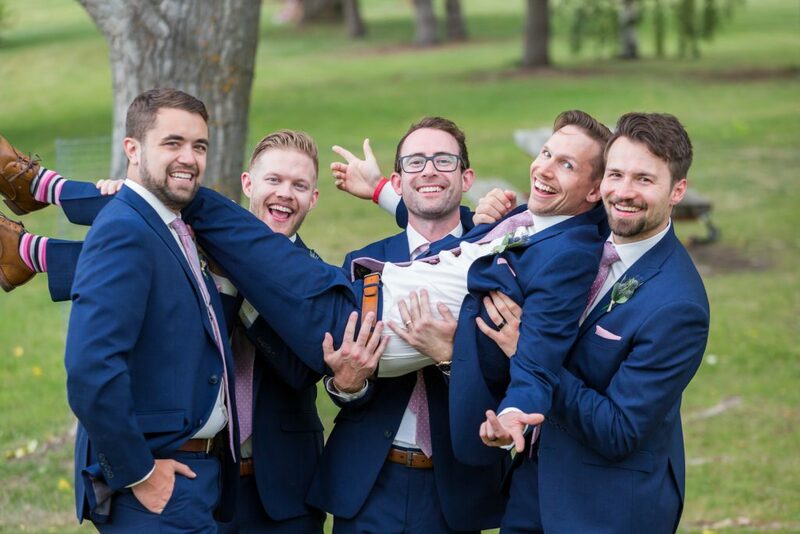 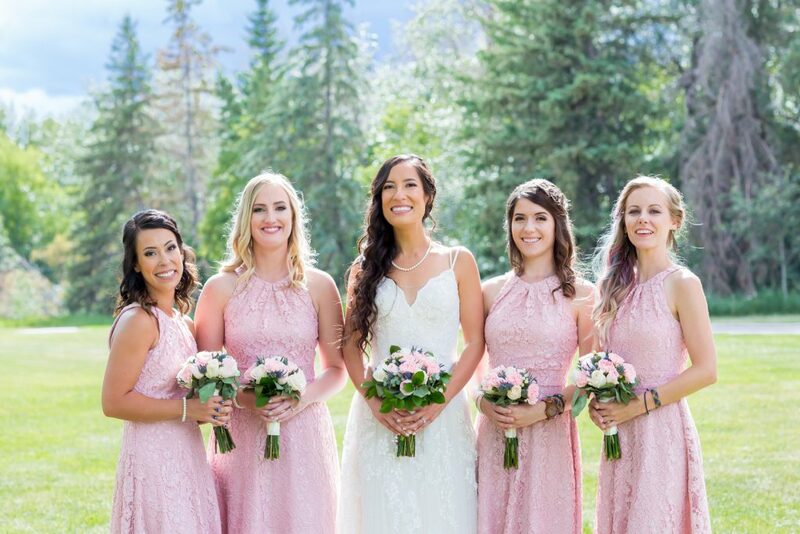 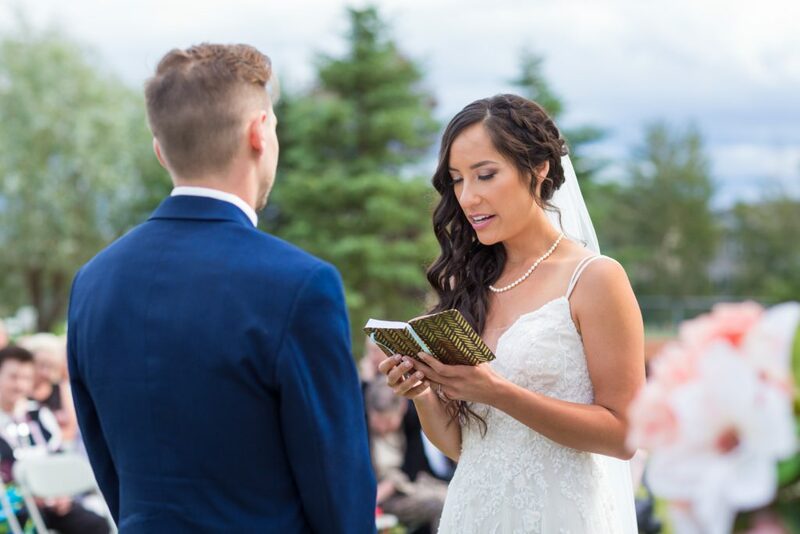 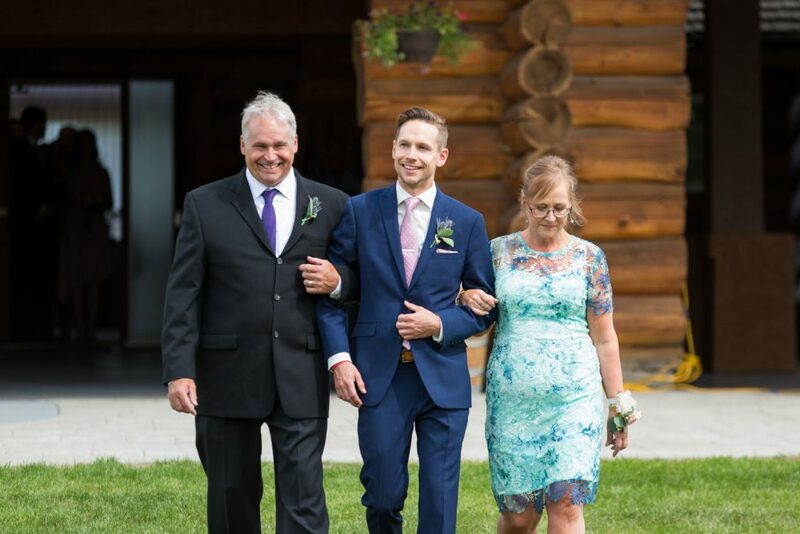 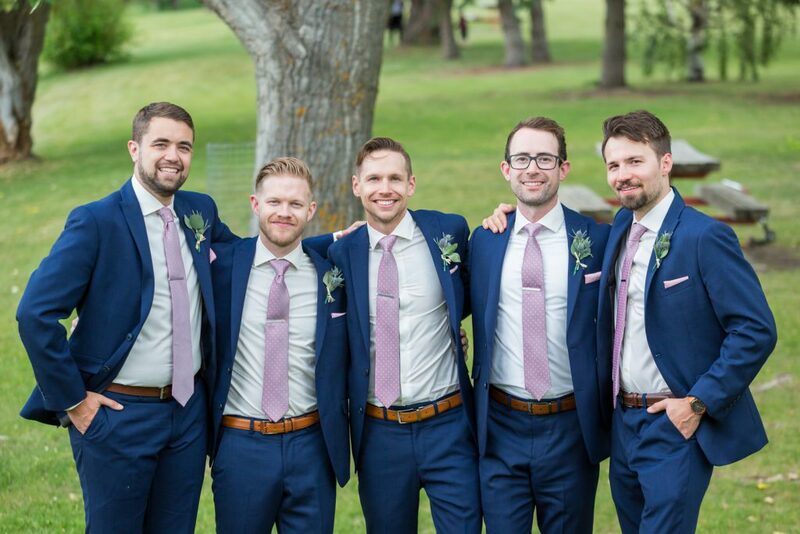 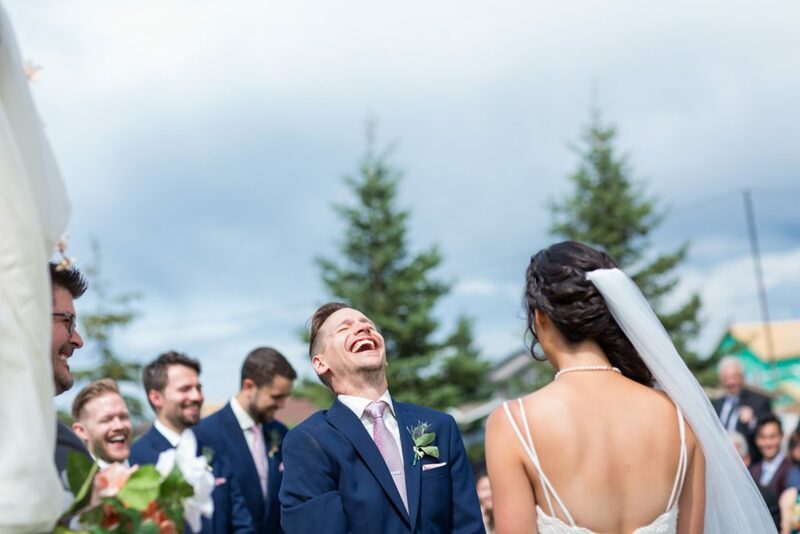 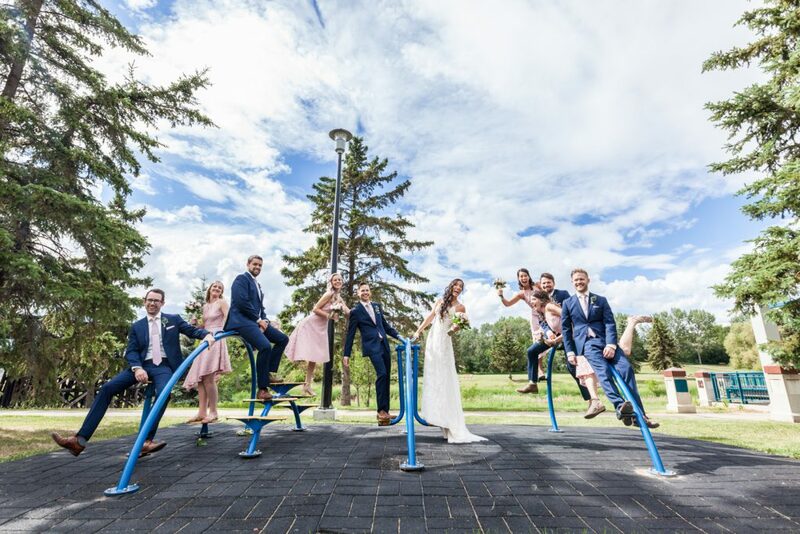 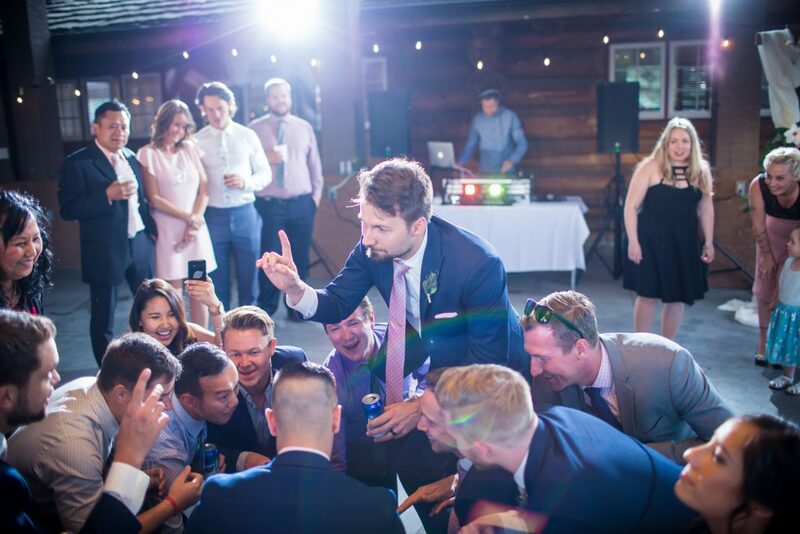 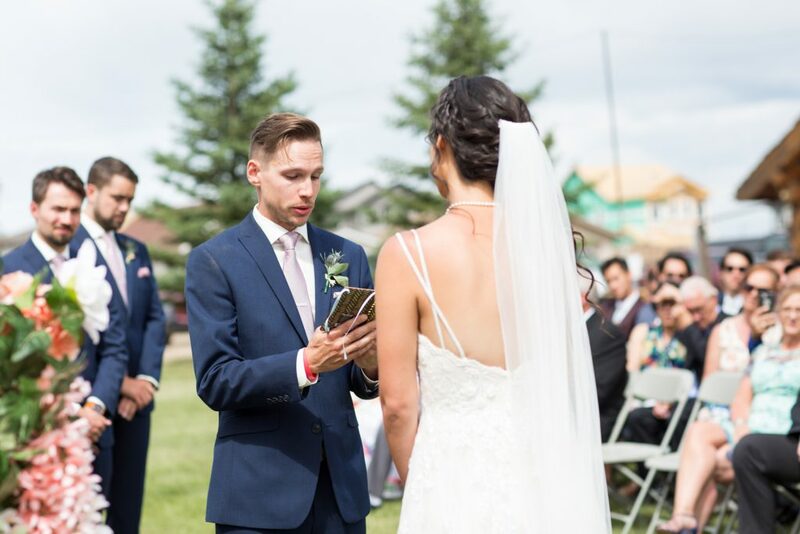 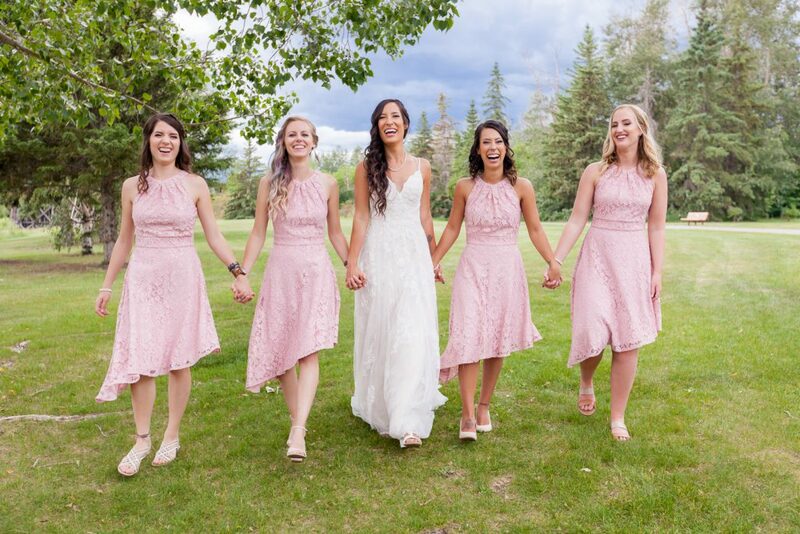 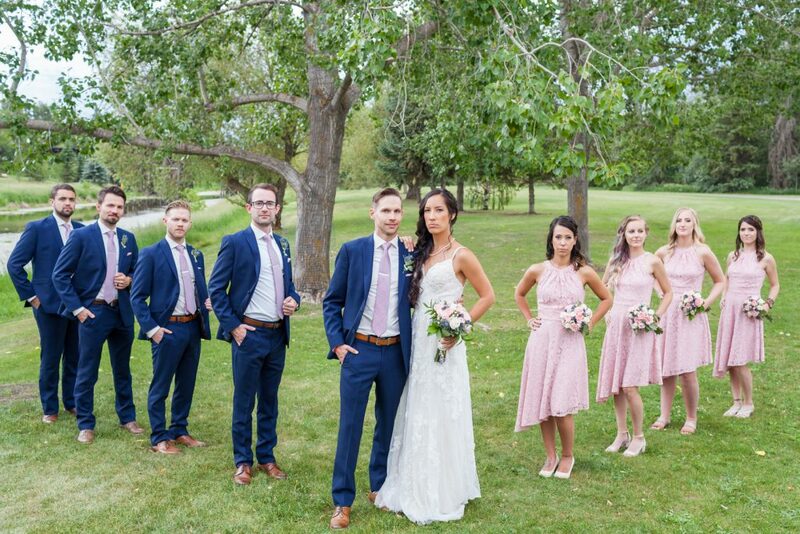 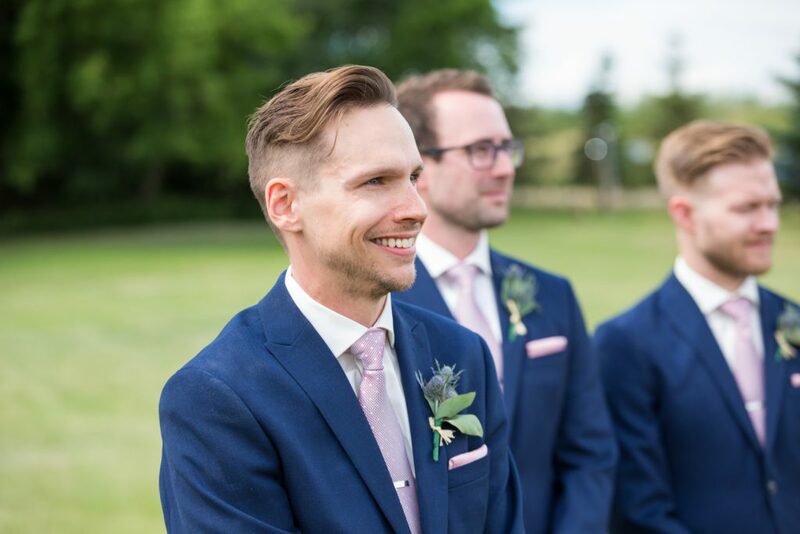 Carter and Vanessa held their outdoor wedding ceremony at the Country Lodge in north Edmonton. 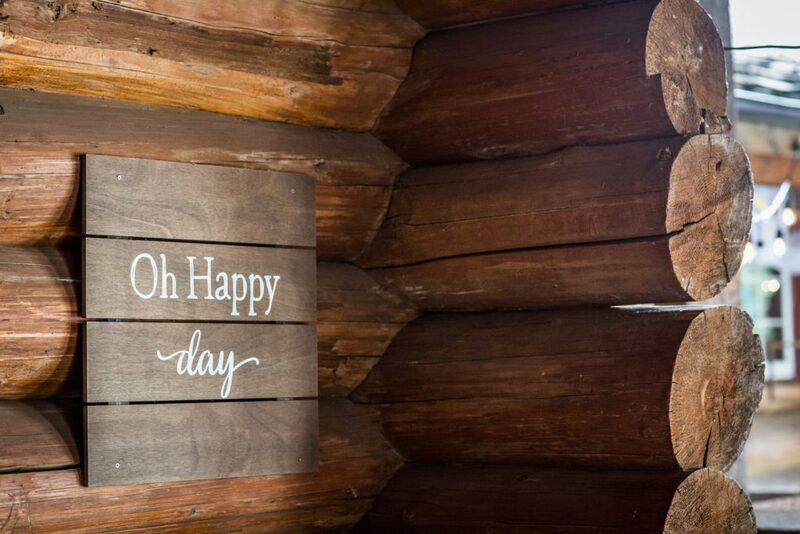 This beautiful log cabin is surrounded by a thick forest of trees and it the perfect backdrop for an outdoor wedding. 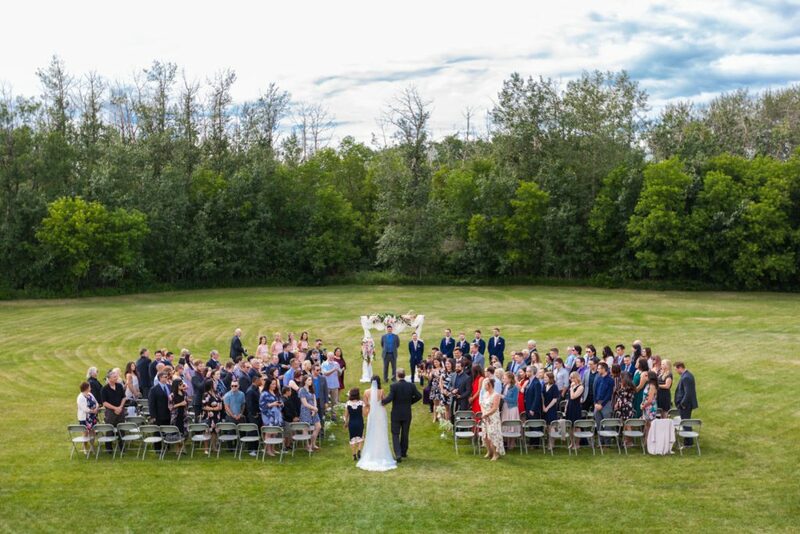 The large grassy lawns welcomed guests and set the mood for a relaxed, rustic wedding. 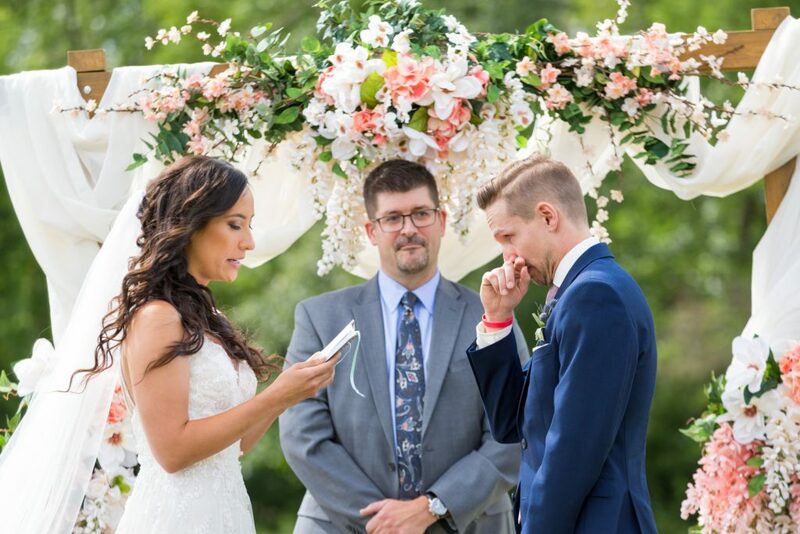 It is obvious how crazy these two are about each other, and the vows that they wrote and read during their ceremony was a tribute to that love and the strength of their relationship. 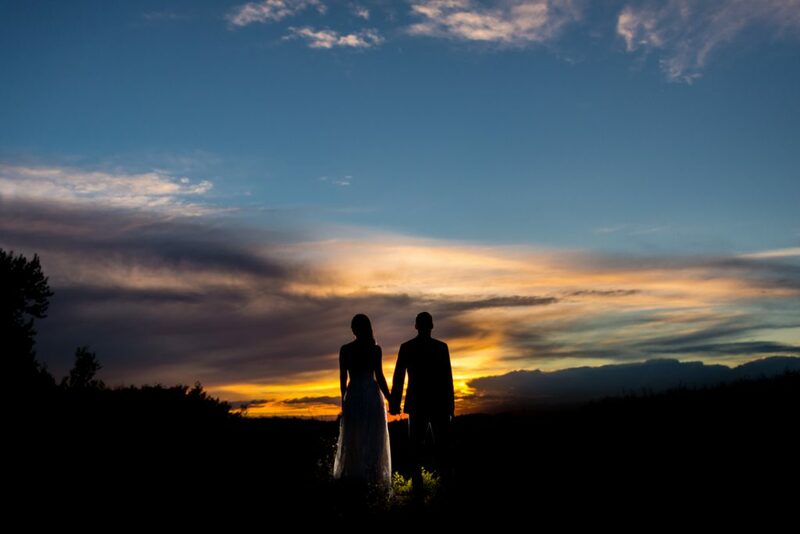 Love is about being there through the good times and the hard times, about holding hands and finding adventure together. 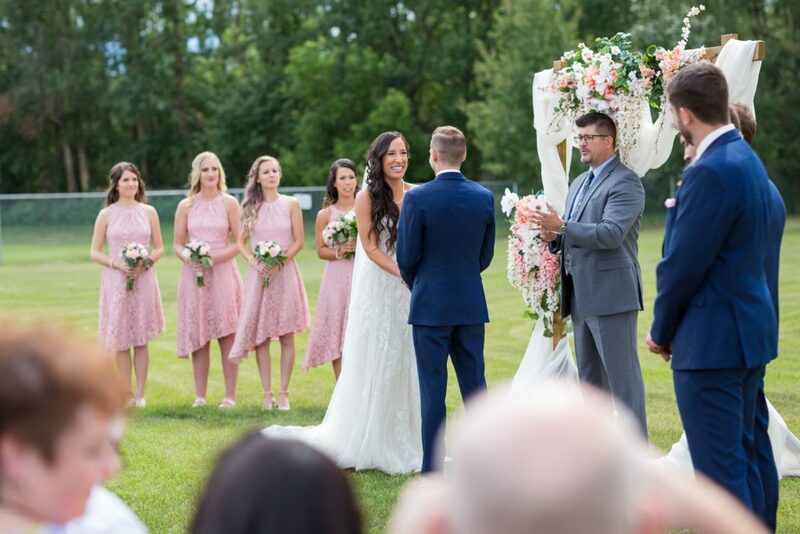 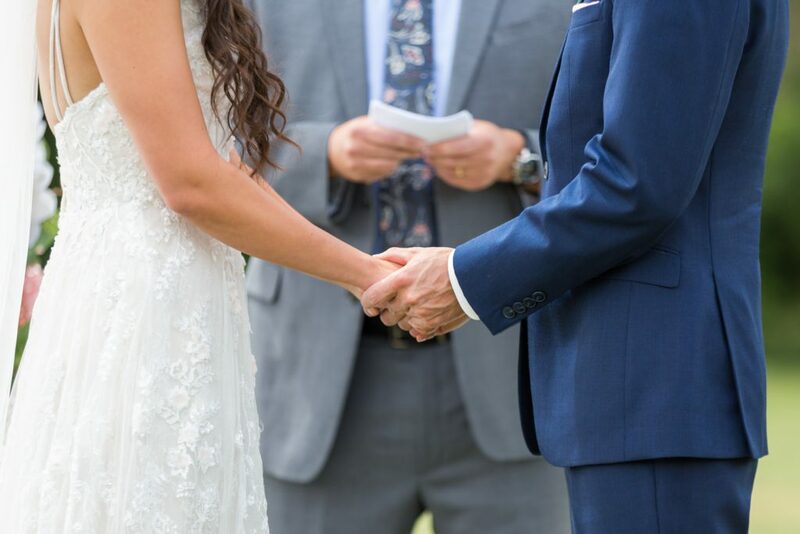 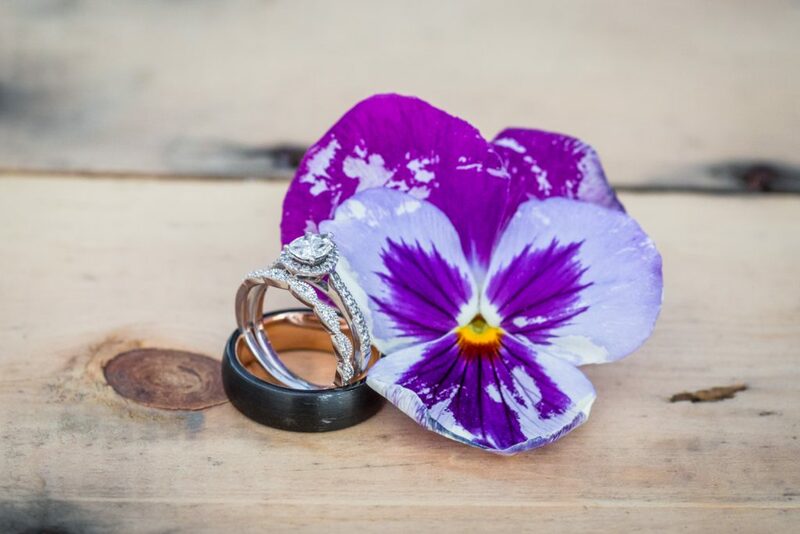 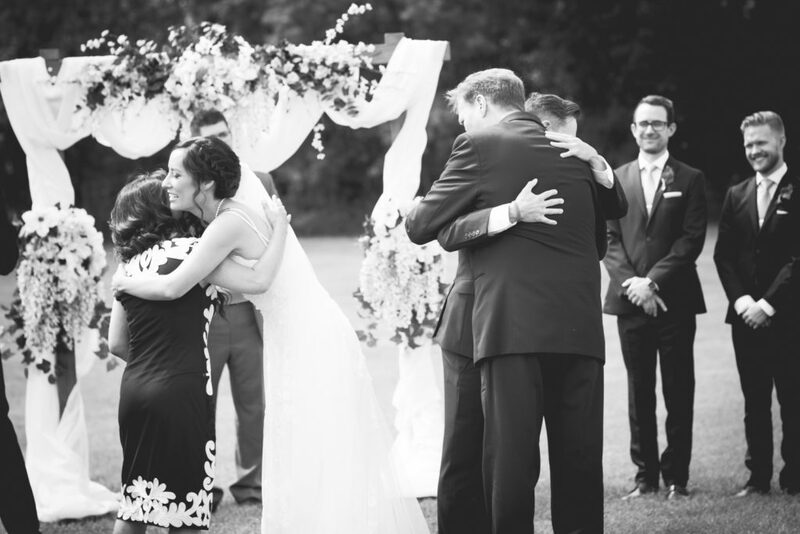 With a deafening round of applause, family and friends welcomed the newlyweds as they became husband and wife, shared a passionate first kiss and took their first steps as partners in love and life. 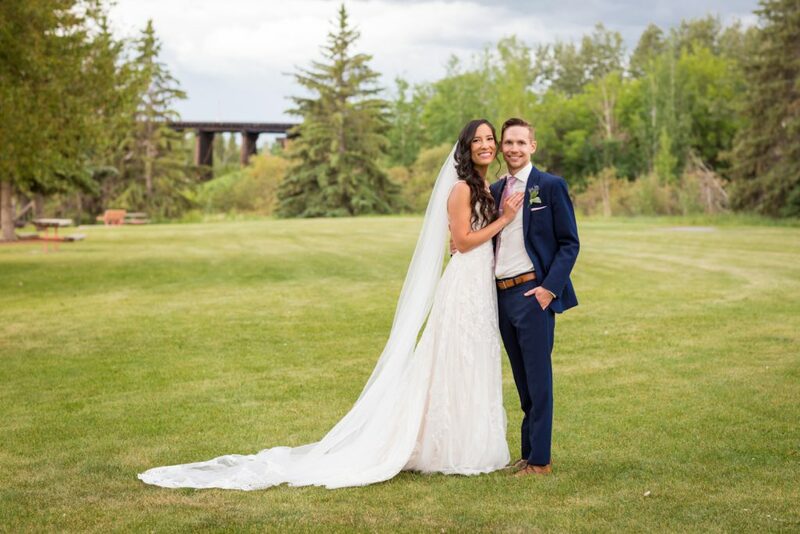 Lions Park in St. Albert is one of Vanessa and Carter’s favourite places. 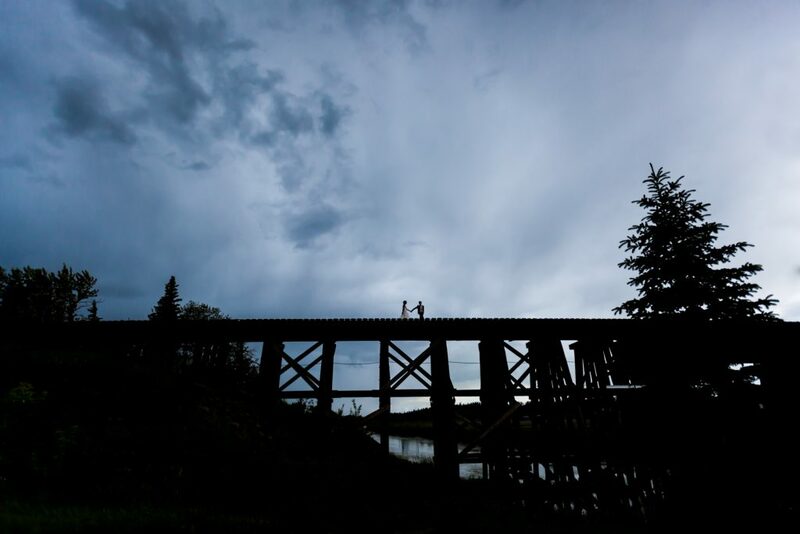 The historic trestle bridge which spans the river valley was the perfect backdrop for wedding party portraits. 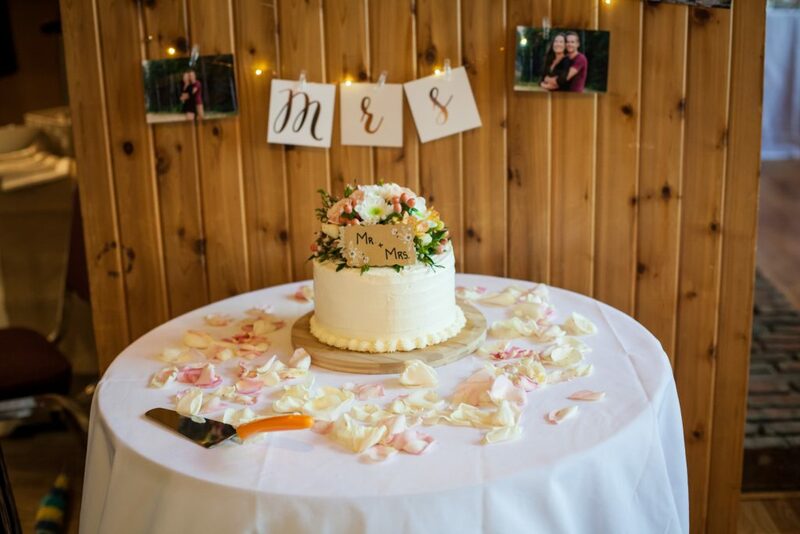 Guests rejoined the happy couple at the Country Lodge for an intimate family-style wedding reception. 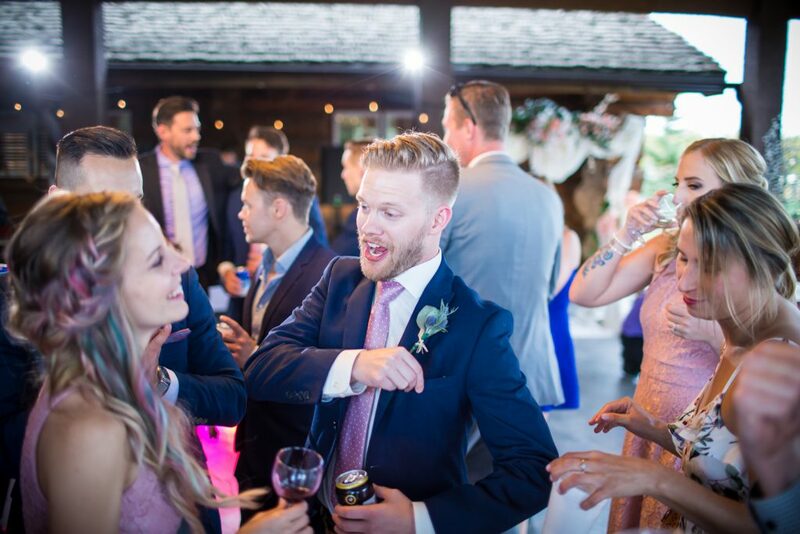 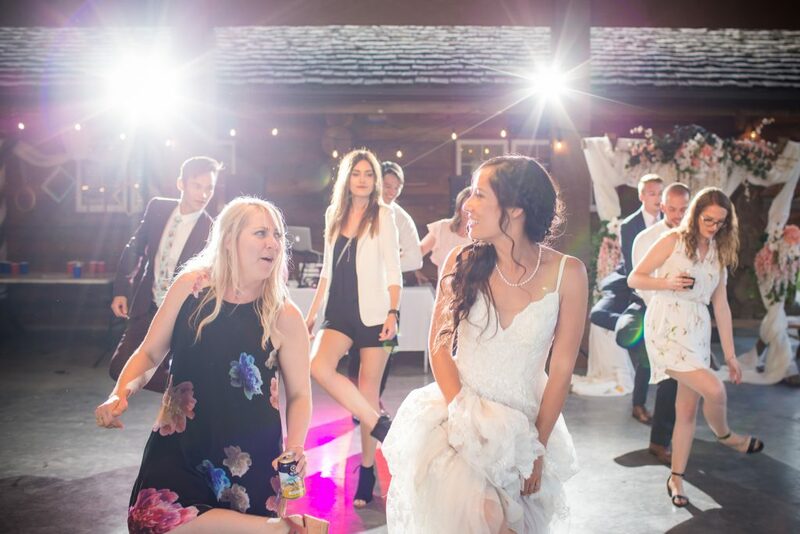 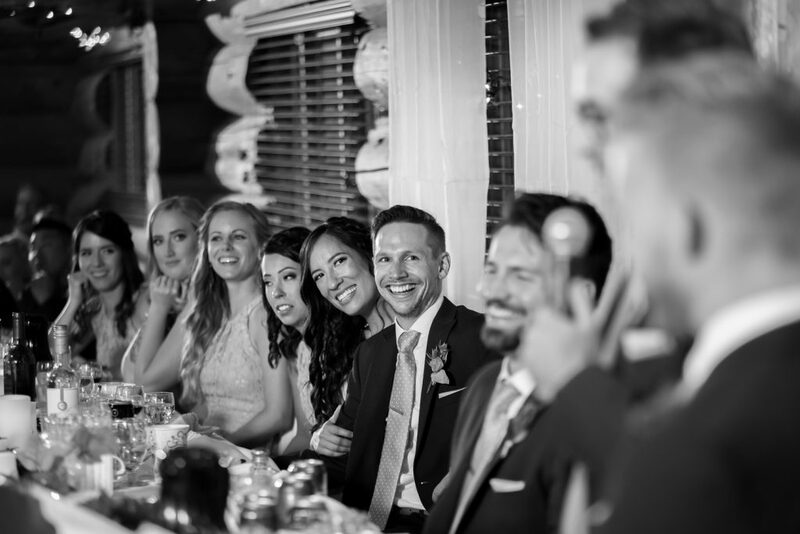 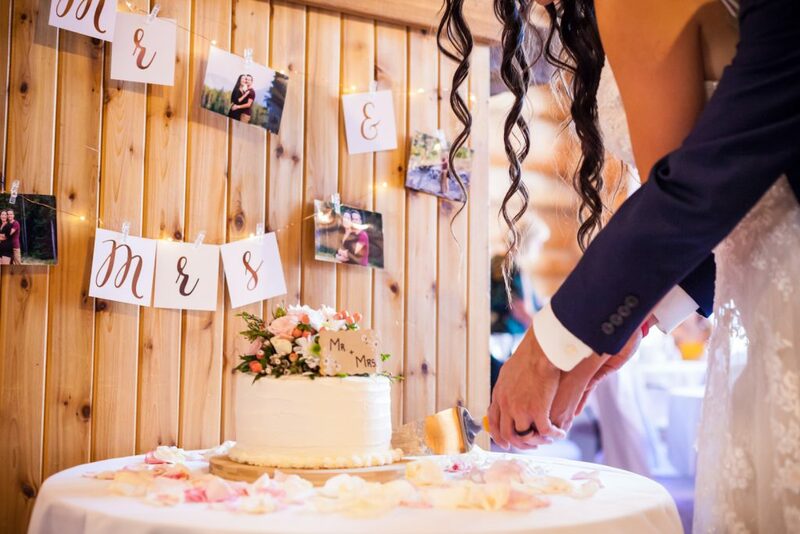 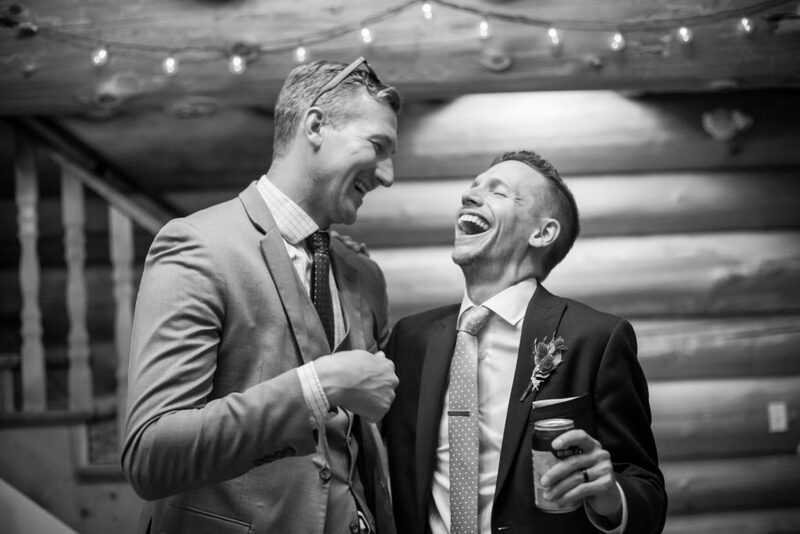 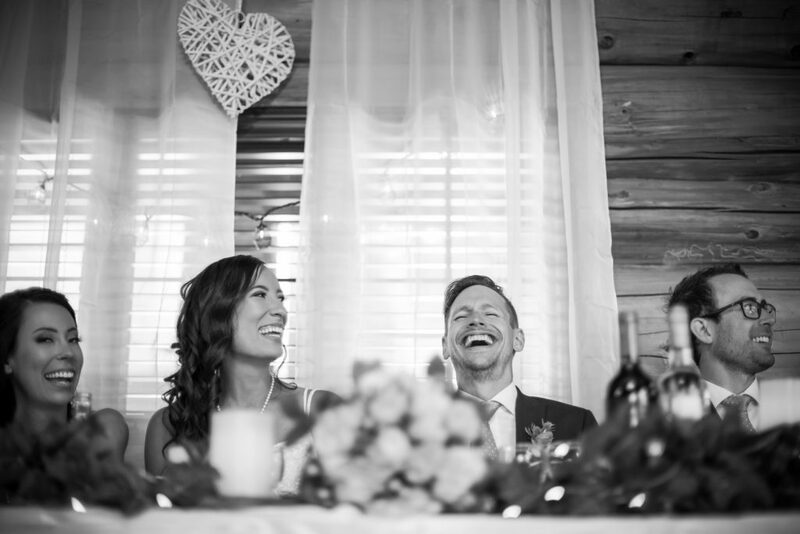 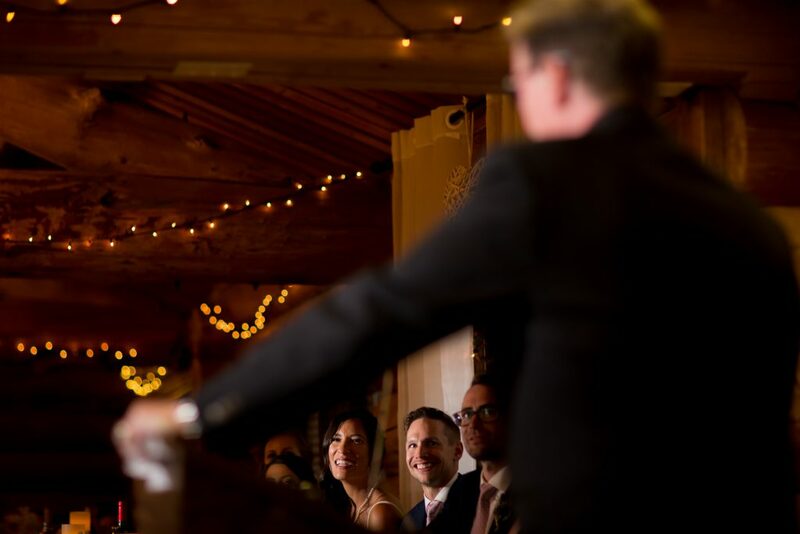 The cozy log cabin echoed with laughter from the heartfelt toasts to the bride and groom. 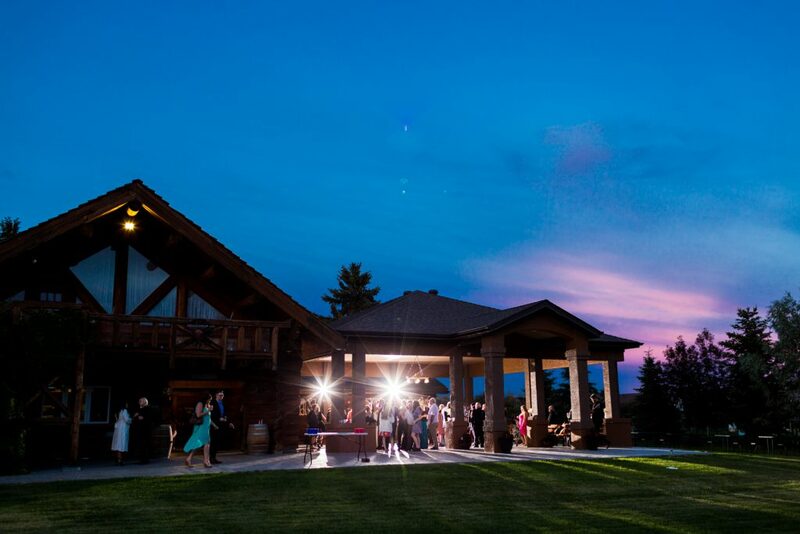 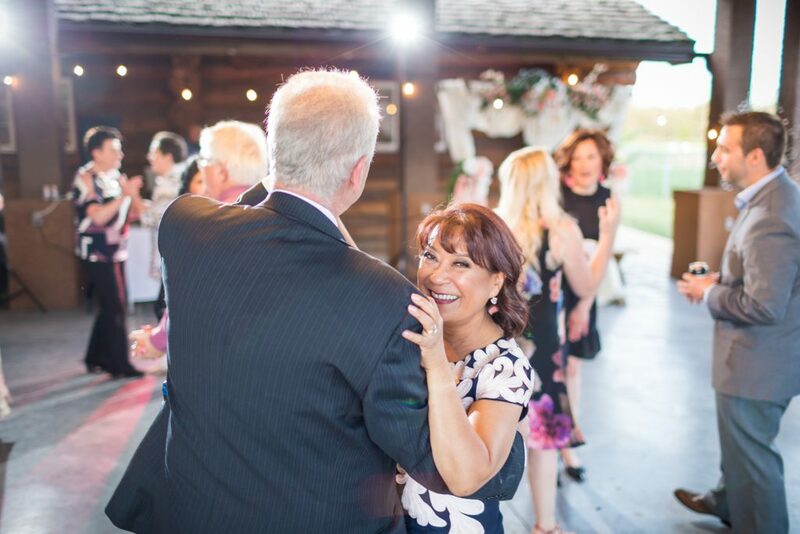 Wanting to take advantage of the warm summer evening, the first dance was held outdoors on the spacious patio. 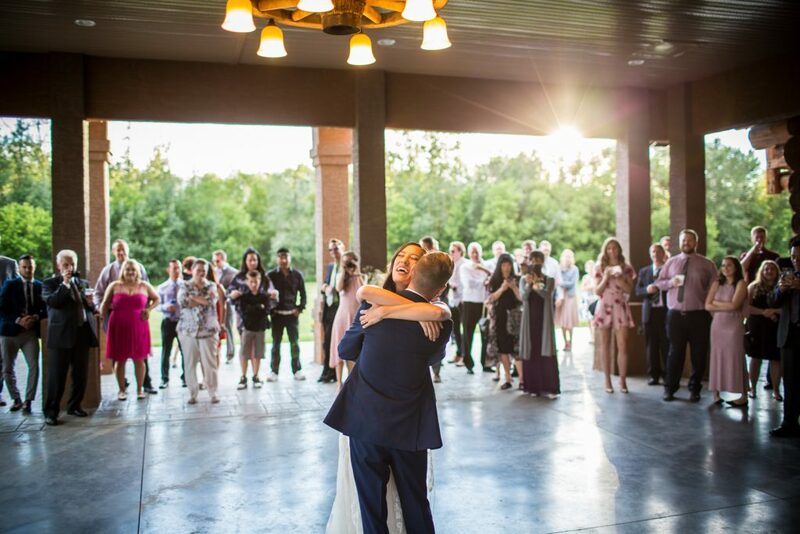 Carter and Vanessa’s sunset first dance kicked off the party that lasted well into the early morning hours. 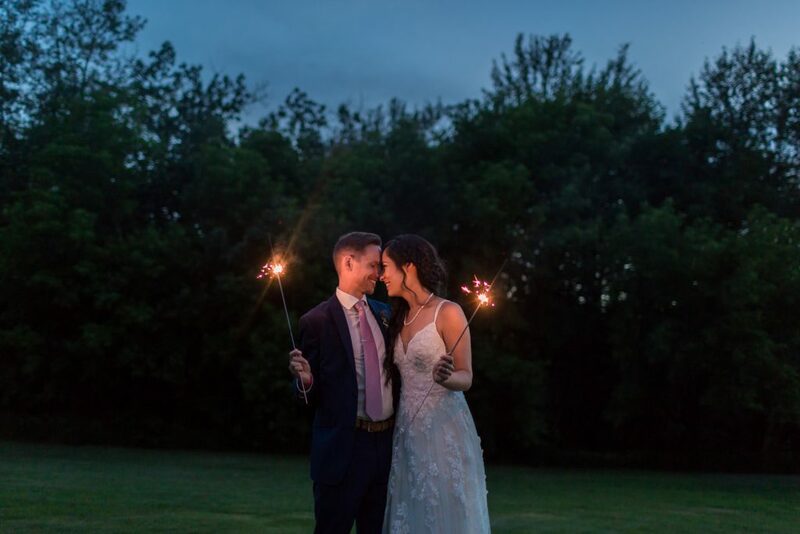 Thank you for inviting Deep Blue Photography to be part of your Country Lodge wedding and to capture all of your crazy epic love.